The print, made by T.A. Dean, is a portrait of William Beckford (1760-1844) aged 21, based on an oil painting by Sir Joshua Reynolds (1723-1792) now in the National Portrait Gallery, London. A full-length 'swagger' portrait of Beckford by George Romney (1734-1802) was also painted to celebrate Beckford's coming of age in 1781. That work now hangs in Upton House, a National Trust property in Warwickshire. Highly precocious, Beckford had a keen intelligence and wide-ranging interests. Educated under tutors at home, by the age of 21 he had been taught by some of the most famous artists and musicians of the day. This print was produced for the title-page of a book by Beckford entitled Recollections of an Excursion to the Monasteries of Alcobaça and Batalha, written in 1794 but not published until 1835. He had travelled to these monasteries while visiting Portugal. Beckford spent a number of years in Portugal during his self-imposed exile on the Continent from 1784 to 1803. Certain design elements of his Gothic-style Fonthill Abbey are taken from the architecture of these monasteries. Portrait, head and shoulders, turned to front and looking to left, wearing a cravat. William Thomas Beckford was the only legitimate son of William Beckford (bap.1709, d. 1770) and was born at one of his English properties, either in Westminster or at his country estate at Fonthill, Wiltshire. He was born into a sugar family: his father had become England’s first millionaire through his ownership of Jamaican sugar plantations and his mother, Maria née Hamilton, was the widow of Francis Marsh, another Jamaican planter but unlike his predecessors, William never set foot on the island. William was schooled at Fonthill and was sent to Switzerland in 1777 with his tutor, to complete his education. He later conducted a grand tour, arriving in Venice in 1780. He came into his inheritance in 1782 and, after marking the event with a lavish party at Fonthill, continued his European travels. A scandal in 1784 forced his exile from England and he returned to live in Switzerland where he wrote, in French, his oriental novel Vathek, which became his best-known literary work. Following sojourns in Portugal, France and Spain, William returned to England in June 1796 and began an ambitious scheme of architectural work at Fonthill. The building work, which consumed vast amounts of William’s personal fortune, was beset by problems and during its course two towers collapsed. The final abbey was built in the Gothic Revival style and was surrounded by a 12 foot wall to protect the privacy of its inhabitant. William’s inheritance had included a mixed collection of ancient and modern art of different kinds, including a large organ (now in the collection of the V&A). Three sales disposed of the unwanted items and William used his European travels to develop his own collection of art and books. He regularly attended sales and profited hugely during the French Revolution when the nobility hastily sold, or was forcibly deprived of, its possessions. His collection grew to encompass paintings by Claude, Poussin, Murillo, Rembrandt, Hogarth and ‘Italian primitives’ such as Giovanni Bellini and Perugino; stained glass; furniture including lacquerware; metalwork; ceramics; statuary plus a vast library of rare books. William’s architectural and collecting interests were funded by his West Indies inheritance but by the 1820s his income from Jamaica, which was failing to remain profitable following the 1807 abolition of the British slave trade, had dropped drastically. Falling sugar prices caused him to sell some of his Jamaican estates but the income raised by the devalued plantations was not enough to meet his debts and William was forced to sell Fonthill Abbey and its contents. He retired to Lansdown Crescent, Bath, with a small selection of his art. He died at Bath in 1844. 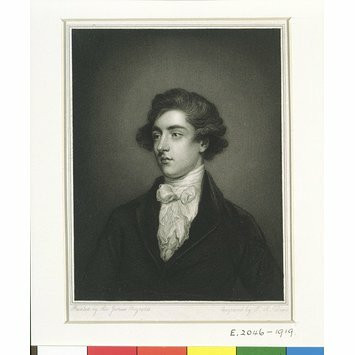 William Beckford is today recognised as an inspired and adventurous collector whose decision to collect in unconventional areas – such as Asian and Islamic art – and to actively participate in the design process established new practices of collecting which continue to influence contemporary collectors. However, his patronage was made possible only by wealth secured through the exploitation of enslaved Africans. This legacy is preserved in the objects collected by him now residing in British museums. A number of his paintings now form part of the permanent collection of the National Gallery and the V&A Museum cares for more than thirty objects acquired by him, some of which are displayed here. 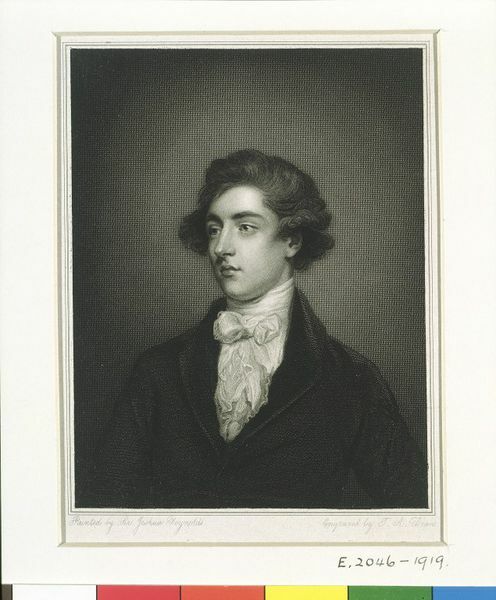 Portrait, head and shoulders, of William Thomas Beckford. Engraving by T.A. Dean after Sir Joshua Reynolds, early 19th century. Text written about this object for 'Uncomfortable Truths / Traces of the Trade' gallery trails (Trail 3: 'Britain & The West Indies'), 20 February - 31 December 2007. Helen Mears & Janet Browne (additional interpretation provided by actor Rudolph Walker). 'WILLIAM BECKFORD AGED 21 / William Thomas Beckford was one of the great collectors and patrons of his era. To house his collections, he built a vast Gothic extravaganza known as Fonthill Abbey. The enormous wealth on which Beckford's lifestyle depended came from the exploitation of enslaved Africans. His father was England's first sugar plantation millionaire and his mother was the widow of Francis Marsh, another Jamaican planter. With the abolition of slavery, however, the Jamaican plantations ceased to be profitable. Falling sugar prices caused Beckford to sell some of his estates, but the income raised by the devalued plantations was not enough to meet his debts. Forced to sell Fonthill Abbey and its contents, he retired to Lansdown Crescent, Bath, with a small selection of his art. He died at Bath in 1844. Beckford's legacy is preserved in the objects collected by him now residing in the National Gallery and the V&A.